We are called to connect all people to Jesus and help them become fully-devoted followers. One way we do this through local and global projects and partners. Discover opportunities to impact your community and world below. Connect with local organizations and serve regularly, especially with your Home Team! If you are interested in any of the below opportunities, please contact localoutreach@pathwaychurch.com or visit the For Others wall at your campus this weekend. Our goal is to passionately serve students, parents, and staff associated with Wilbur Middle School so that Jesus’ love can be seen, felt, and heard through multiple activities and encounters. Join a dedicated team of Oak Street Elementary administrators, teachers, and Pathway volunteers as we make a difference in student’s lives by working together to improve Reading and Math skills in this new tutoring program called PALS (Partners Achieving Learning Success). PALS volunteers will work one-on-one or in small groups with provided materials (no preparation needed). Volunteers needed on Tuesday and/or Thursday afternoons from 4:00pm to 5:00pm. Must be at least high school age to volunteer and all skill levels welcome! Carpenter Place (formerly Maude Carpenter Children Home) is a faith-based agency providing a Christian home environment for girls who may be struggling with family issues, substance abuse, truancy, legal issues, broken adoptions, sexual exploitation, abandonment, homelessness, physical/emotional abuse, neglect, and a host of other issues. Be a “friendship partner” to an international college student. Activities could include inviting them to join in a family meal or inviting them to join family activities. • Recommended time spent with your assigned student is at least 2-3 hours twice a month. The Youth Horizons’ ranchprovides care for boys with severe individual and family challenges. In cases where living at home or in a foster home has been unsuccessful, Youth Horizons is equipped to help. Located on North Woodlawn, the ranch serves boys ages 10-22 in two family-style group homes. Share a skill or interest that you have with the boys. The Parent Life “Inside & Out” program connects trained adults with pregnant girls and teenage parents in programs designed to help them make good choices and establish a solid foundation, not only in their lives, but also in the lives of their babies. • Mentors – give rides to individuals, if needed, to the Tuesday night class, sit with them during the meeting and meet with them periodically. • Donations of diapers (sizes 2, 3, 4, 5) and Walmart and Dillon’s gift cards always needed. Want to make a difference in a child’s life? Youth Horizons matches at-risk youth with Christian mentors to make a positive impact in their lives. Boots on the Ground is a movement to “Go” outside the walls of the church and be a force of transformation in our community. We’ll cleanup yards, haul trash, repair fences, paint, and perform light construction projects but the most important part of Boots on the Ground is working alongside and building relationships with people in our community because ultimate transformation is not a project. This ministry is devoted to evangelizing the inmates of the Sedgwick County Detention Facility. The mission is to minister to inmates as they deal with emotional, physical, and spiritual needs. CMO has been serving inmates in Sedgwick County for over 35 years. Firm Foundations is a faith-based re-entry house for previously incarcerated men. 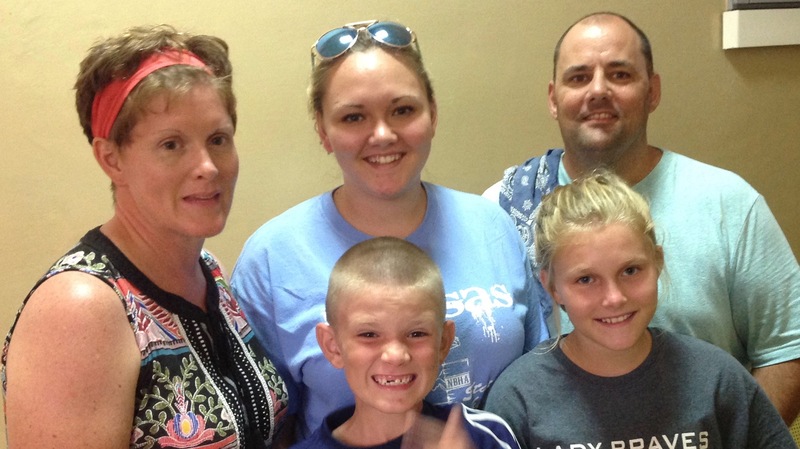 His Helping Hands is a ministry of Central Christian Church in Wichita. They meet the material needs of financially distressed individual and families. Items are given for free, but they must first meet with counselors that pray with them and share the Gospel before they are able to “shop”. Support the “Getting Ahead” program that helps those in poverty investigate barriers and identify resources to help themselves get ahead and out of poverty. • Childcare workers – Mondays during meetings, 5:15 p.m-8:30 p.m. Includes a meal. Background check and on-site training required. Be a part of a great ministry who’s goal is to serve a nutritious meal with dignity and respect to anyone who is hungry (currently 2,000 people per day). • Prep volunteers – needed during the week, Monday-Friday 11am – 2:30 p.m. to help prepare the evening meal. Dish out servings, slice veggies or meats, make tea and coffee, or sort items delivered from the Food Bank. You can volunteer daily, weekly, or monthly. Food handler card is required. • Servers – needed for the summer months!! Volunteers are assigned a task upon arrival to include: filling drinks, busing tables, dish washing, check-in desk, etc. To serve food, you would need a food handlers card. A ministry to help those in need of necessary home maintenance who are limited by physical or financial resources. Opportunities await for those with handyman skills. Men and women who love people and are willing to speak words of truth and encouragement are need to be Advocates. Give spiritual, physical, and emotional support to couples that are facing a planned, and more often, unplanned pregnancy. • Serve once a week for a 3 hour shift. The Salvation Army’s Transitional Housing Program for families and single women provides housing and services designed to address the barriers which have prevented the residents from living independently (financial, daily living and housing). This program provides a step between living in an emergency shelter or on the street and living in the community. Monthly presentations (computer skills, cooking, money management, tenant/landlord relationships, marriage/parenting, etc.) Share a skill or interest that you have. Make a difference in the lives of the homeless in Wichita. Individual and groups welcome! World Impact and GraceMed are partnering to provide immediate medical services with this mobile clinic. They will travel to poverty areas taking medical services to those without access. Clinics are open Monday through Thursdays from 5:30 p.m. – 7:30 p.m.
• Process intake and pray with patients. Store is open Monday – Friday 9:00 am-5:00 p.m. and Saturday from 10:00 a.m – 5:00 p.m.
Volunteer for as little as 2 hours or up to 8. Pathway Church is determined to play our part in helping the hurt, leading the lost, and taking the Gospel to the ends of the Earth. We have Global/National Outreach in 20 projects in 20 countries around the world. Our partners are involved in taking Christ to unreached people groups, international church planting, holistic ministries, and biblical education among many other ministries. It is exciting to know that several people who have grown up at Pathway Church are now Global Outreach Parters in places like India, Mongolia, Kenya, and Orlando. However, not everyone is called to be a long-term missionary. If you are interested in learning more about being a Global Outreach Partner or would just like to start the conversation about Global Outreach work, email the Global Outreach Department. Many people, especially college students and young adults, take internships in the United States and across the globe to do missions work—these can be anywhere from 2-12 months. You can also take part in Global Outreach by joining a Serving Trip Team through Pathway. We provide many opportunities for you to be a sender and help to encourage and support our Global Outreach Partners. Pray: Ask God to show you for whom you should pray for. Praying is one of the best ways you can be involved with global outreach! The power of intentional, fervent prayer in Jesus’s name is amazing. Visit our Pathway Global Facebook page to read about our Global Outreach Partners and lift them up in prayer. Email the Global Outreach Department for further information. Give: Mission work is made able by those who “send” Global Outreach Partners with financial resources. If you tithe any money to Pathway Church then you are already a sender! A percent of every dollar that you give to Pathway Church is used to advance God's Kingdom all over the world. Your generosity is truly making a difference right here in Sedgwick County and to the ends of the Earth! Encourage: Consider sending a care package or encouragement cards to Global Outreach Partners. Welcome Global Outreach Partners home when they are in town on furlough by sharing a meal, a car, a guest room, or other creative ways to make them feel appreciated. Come here them talk on the weekends when they visit one of our campuses. Volunteer: Do you want to be a part of supporting the work of the Global Outreach Department at Pathway Church? We are always looking for volunteers to help out in a variety of ways. Your first step before volunteering is visiting Starting Point. Learn more and register online! Are you interested in learning more about global outreach, but don’t know where to start? Here are some steps to help you in your journey. Every year, Pathway attempts to offer classes that will help you discover God’s plan for global missions. Contact the Global Outreach Department to see when the next class will be. Not wanting to wait on a class? Grab a good book about global outreachand start learning today. Contact us and we will steer you to the right book that will fit your current needs. Community Health Evangelism workers are involved with migrant families from rural areas as they enter into city life. They work with community centers, churches, and schools loving the migrants who are often disadvantaged. Pray for the protection of the workers, growth of churches, and education of the children. In a remote part of Asia we partner with a national leader taking the Gospel to the many tribal unreached groups in this area. This protected state is home to over 100 different tribal groups, mainly Buddhist or animist or a combination of the two. Pray for additional national workers who will be able to work in this protected state and the growth of the newly established churches. Pathway is partnering with India Gospel League to bring the light of Jesus into this rural area. Our partnership includes digging water wells, building Life Centers, and supplying Barefoot Pastors with needed materials as well as sending Serving Teams to encourage the workers. The village of Mabatini in the Mathare Valley has been adopted by Pathway. We have helped bring clean water to the village, purchase land for a school, and construct a temporary community center. Through Community Health Evangelism, workers reach into the homes of the people caught in this slum. Serving teams have assisted in micro-finance development, encouragement of leaders, and teaching of children. We partner with the Church Planters Training Center which trains the tribal peoples of this region to evangelize and plant churches among the rural peoples. Each training class has representatives of several tribes. After initial training, the center’s staff visits the planters and their churches. A holistic approach is used giving training in business, health, and other training as needed. To date, over 50 churches have been planted. Two graduate families are being financially added by Pathway. Along the tributaries of the Amazon live the River People, a genetic mixture of Indian and Portuguese ancestry. Their religion is a mixture of folk-catholic and spirit worship. South American church planters travel these waterways teaching the Gospel and organizing churches. A specially equipped mission boat serves as a base along the Amazon River. Pray for strength for the Global Outreach Partners and spiritual awakening for the River People. Global Outreach is woven in and throughout every ministry at Pathway Church. We currently support 25 Global Outreach Partners and 20 projects in 20 different countries. In an effort for each campus to get to know our Global Outreach Partners more personally, each campus will “adopt” and support different partners for 2019. This allows you to meet and form a connection with your campus Global Outreach Partner as they visit and send updates back. 2019 Serving Trips are available to visit and serve with your adopted Global Outreach Partner. 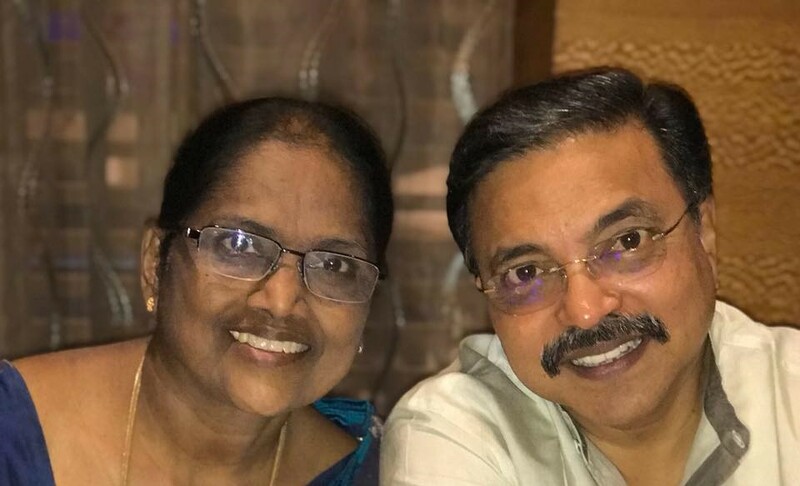 Samuel and Prati have been serving on the field for over 40 years. Sam became President of IGL (India Gospel League) in 1988. We have been in partnership for 23+ years. IGL’s primary mission focus is evangelism, church planting and pastor training. Prati serves with IGL: Women with a Mission which mobilizes and disciple’s women for ministry in their local churches. Pathway is now helping IGL in its 7th region of India. In the previous region, IGL planted 338 churches, trained 175 church planters, 278 women, discipled 7500 children, and constructed three church buildings. Pathway began a partnership with the Kenya TUMI (The Urban Ministry Institute) satellite in 2012. They had their first class graduate in 2018. TUMI overcomes four barriers that face urban church leaders facing efforts to receive theological education. 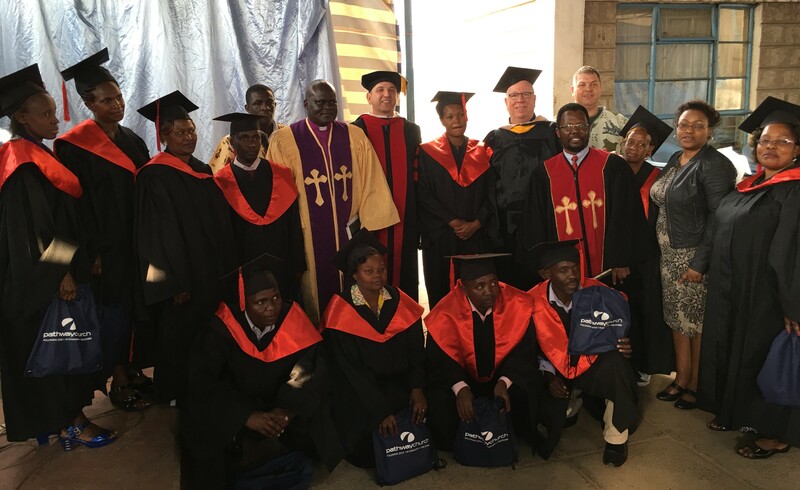 Cost: Many will never be able to afford the cost of traditional seminary education. Education requirements: Many of God’s chosen leaders have little more than a high school education. Proximity: Most urban leaders have a full-time ministry, family, or a full-time job. Moving to attend Bible College is difficult. Cultural relevance: Most of what is taught in U.S. seminary does not equip an urban pastor. 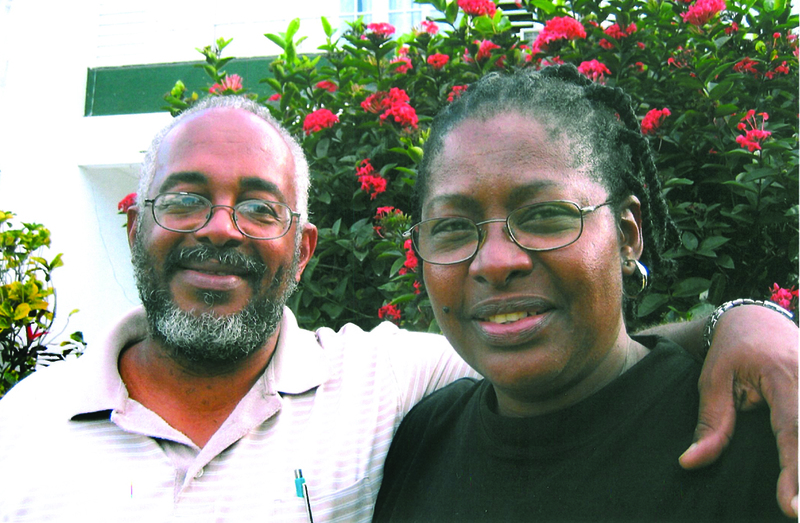 Pathway has been partnered with Wallace and Mary since 2007. 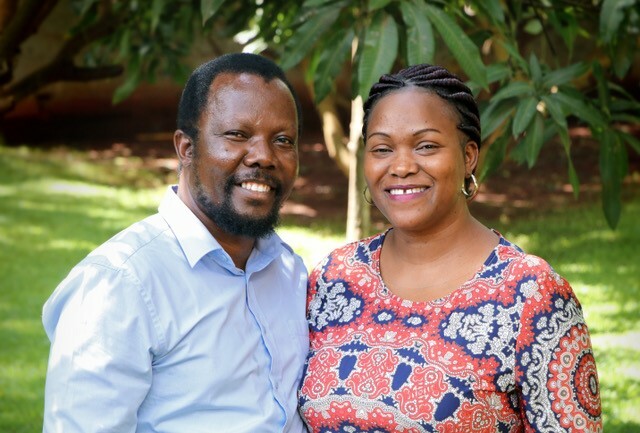 Their vision is to see transformed lives through the hope of Christ in disadvantaged communities in Kenya and beyond. Their mission is to educate, empower, restore, and redeem through holistic transformation in Christ. They serve in a network of urban slums in the capital city Nairobi, Kenya. The slums cover less than three square miles and host over one million people. Most households are headed by single mothers. They are beginning to serve in several remote villages that are predominately Muslim or traditional African cult regions. Our partnership is in the Mathare Valley at Mabatini. Ben, Jessica, and family have been in the field for over a year and a half. Their primary mission is to disciple and plant indigenous churches among the unreached. The majority of people in Benjamin Constant are unreached (less than 2% evangelical Christians). They serve on the Amazon River and in the tribal villages in the Amazon close to the borders of Brazil, Peru and Columbia (primarily on the Brazilian and Peruvian sides). The Harder’s have been in the field for just over one year. Their primary mission focus is to produce videos and media resources to empower church planting in Asia. They are based in Chiang Mai but serve in the greater region of Papua New Guinea. The majority of teams they work with are engaged with unreached people groups. Over 70% of the people groups in their region are unreached. Pathway has been in partnership with the Jacksons for 17 years. Jacko serves as the Senior Pastor of Penwood Church of Christ and has been in full-time ministry since 1985 with the primary focus being teaching, preaching, training, and counseling. They are currently serving in the poorest areas of Kinston. 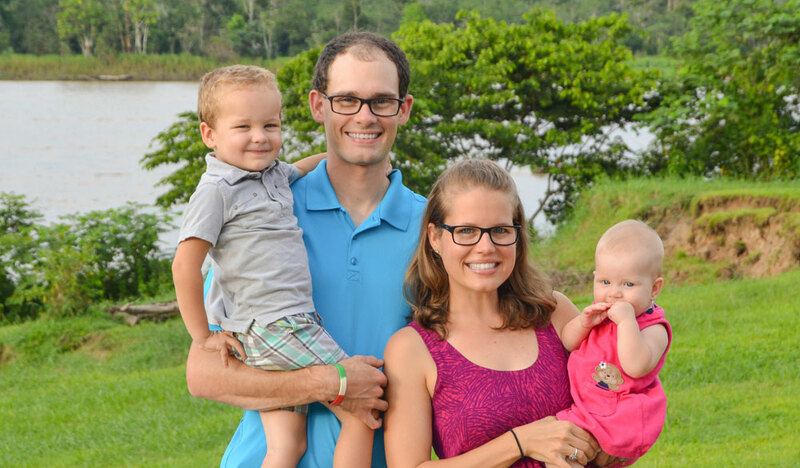 The Graham family has been serving in Ghana for five years and have been Global Outreach Partners with Pathway the last four of those years. Their primary mission is to plant simple churches by training the nationals through the Disciple Making Movement (DMM). Since 2018, they and their national leaders have started 209 small groups and baptized 938 people among the unreached people groups such as Chokossi, Fulani and Gonja. They also utilize CHE (Community Health Evangelism) and farming God’s Way to reach the people with the Gospel in a truly oral language tradition. To provide a unique opportunity to experience God in a deeper way by connecting with partners locally and around the world by utilizing the gifts, skills, and time that God has given each of us for the benefit of the kingdom.